Oxford Duplication are one of the leading 35mm film and 16mm film conversion specialists in Oxfordshire UK. Trust the company that University of Oxford recommends. 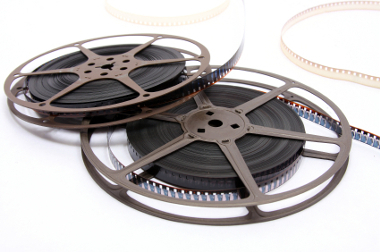 Our aim is to support your motion picture film archive requirements with affordable and professional services that will give you the optimum result for all your 16mm film and 35mm film needs. Contact our studio on 01865 457000 for a quotation. All prices exclude VAT. We transfer motion picture film. 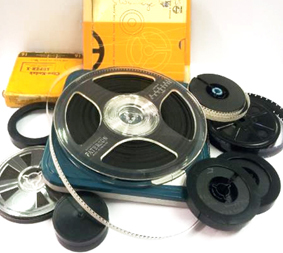 We specialize in Regular 8, Super 8mm, 16mm & 35mm film formats. We do not transfer copyrighted films, unless you're the copyright holder or have written permisison from the copyright holder. Do you transfer Digital8, Hi8, Video8 tapes, VHS or Slides? 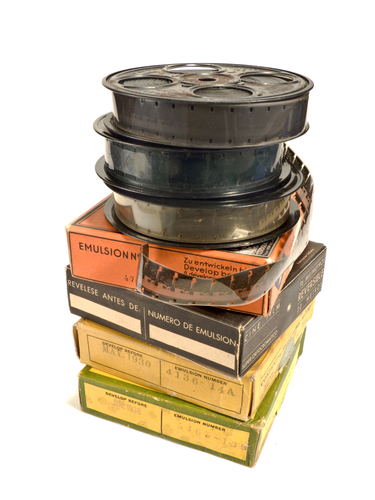 Yes, we do not transfer 8mm digital tapes, Sony Hi8, 8mm analog, VHS or Slides. How safe are my films? Very safe, because they are priceless! When your films arrive, your order is checked in by an experienced staff member, and placed in a work bin solely for you until it is carefully packaged and shipped back to you. We have never lost or misplaced an order. How can I tell the difference between Regular 8mm and Super 8mm film? The easiest is by looking at the sprocket holes. If you have both formats, look at them together, side by side. Super 8mm film will have much smaller sprocket holes. Sometimes you may not need to be concerned with this question. It is very common that only one format was shot as a different camera would have been required. Also, if there is not a particular sequence you would like your films transferred, you would not need to be overly concerned with this. We can separate your film and let you know how much you have of each. Here is a link showing pictures of different film formats. The 3 inch box of my Regular 8mm film says 25 feet. Where does the 50 feet come from? side of the 25 feet. When the film was processed it was cut down the center and the ends spliced together, making it 50 feet long.